My work often features still-lives, and small objects in the home. For this window display, I wanted to create the illusion of looking into an interior filled with objects, playing with various layers and dimensions. 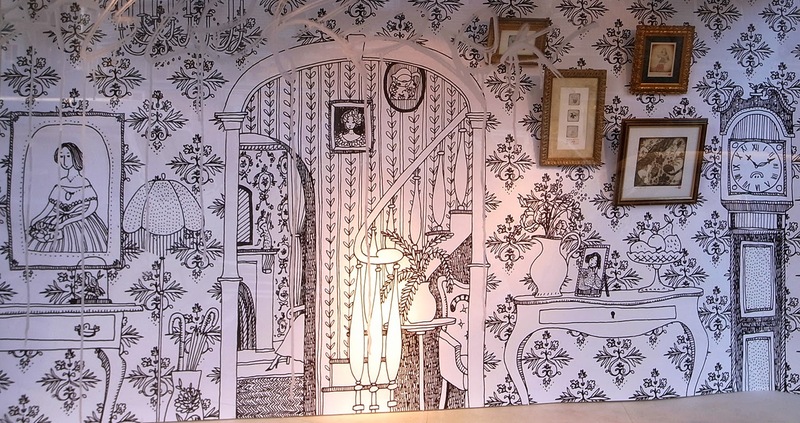 I drew an illustrated black and white backdrop of a Victorian parlour, looking through to several more rooms. 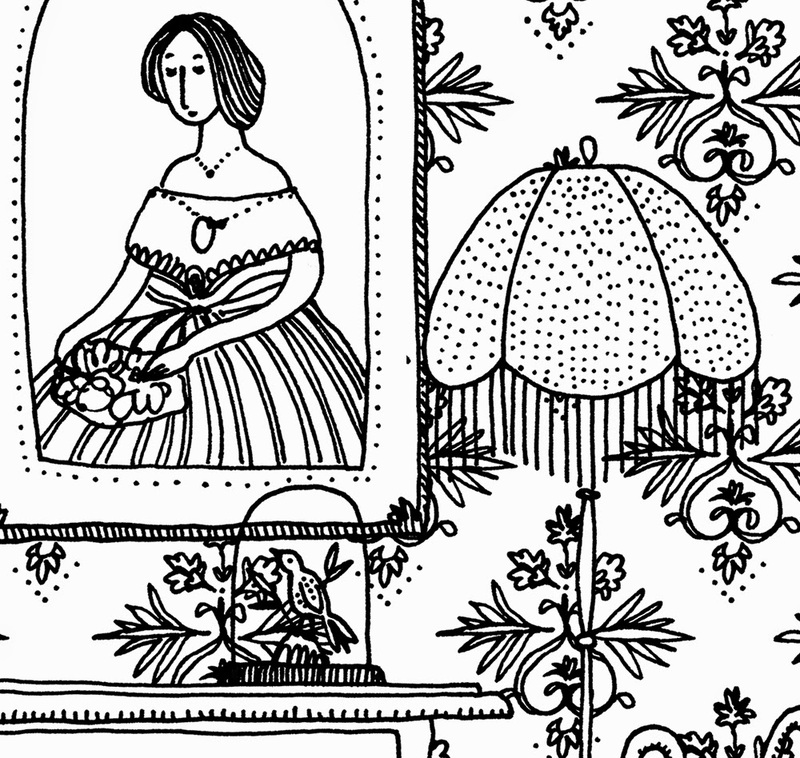 I hid little details in the drawing to create stories: portraits, a lady by the fire, a statue of a rabbit, a cat’s tail. 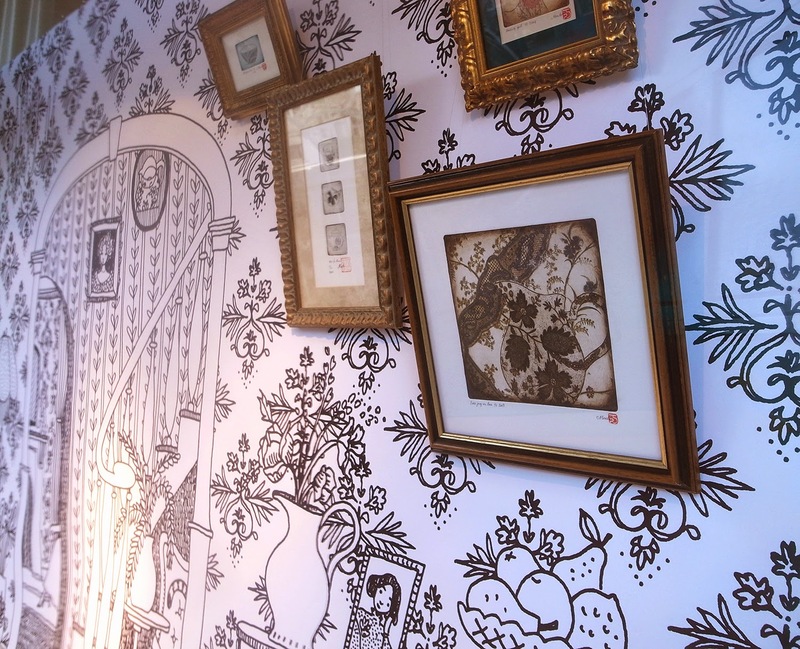 I played with depth within the drawing itself, and then added to it by hanging real framed pictures on the drawn walls. The framed pieces are etchings of ceramics and one portrait, echoing the subject matter within the backdrop. They are full of patterns, creating a layer of patterned artwork on top of patterned wallpaper. See more of Mariko's work.